This is a series of first-person pieces from the Permanente physicians and clinicians on the ground floor of creating the new Kaiser Permanente School of Medicine. I’ve been working as a child and adolescent psychiatrist at the Kaiser Permanente West Los Angeles Medical Center for the past five years. Despite my title, I continue to also see adults of all ages. In September 2017, I moved to the new Baldwin Hills-Crenshaw Medical Offices and am excited to have my department be part of a multidisciplinary team of primary care physicians, and to work closely with Family Medicine, Gynecology and Developmental Pediatrics as we tend to share patients. I’ve been slowly making myself quite active within Kaiser Permanente. I am the Psychiatry champion for the Depression Care Management Program, which is helping to treat depression within primary care, a much needed option as many people continue to be afraid to see a psychiatrist due to the social stigmas that exists around mental health. Therefore, I’m a strong supporter of preventive mental health, or what is now called Mental Health and Wellness. I moved to Los Angeles right out of my child psychiatry fellowship training at the New York Medical College in Westchester County, New York. Although I was raised in New York (Washington Heights in Manhattan and the Bronx), I am originally from Guayaquil, Ecuador, having moved to New York City when I was five. My paternal grandfather was Swiss, hence my last name. I feel fortunate to have been raised in a Spanish-speaking home and continue to utilize my bilingual skills at work. I thoroughly enjoy speaking in a “Spanglish” dialect with my sisters. What am I doing for the School of Medicine? I became involved with the Kaiser Permanente School of Medicine curriculum meeting in April 2017. Initially I asked if I could “sit in” and observe the curriculum development process because I started an online Master’s in Medical Education program earlier that year (through the Lake Erie College of Osteopathic Medicine; I will be done in December 2018). It was because Kaiser Permanente announced it was opening a medical school that I became inspired and excited to teach one day, so I decided to pursue a Master’s in Medical Education. It has been a life-changing decision to go back to school. It has completely changed the way I practice medicine! I highly recommend it. I feel so lucky to have been put to work and not just observe during the curriculum meetings. I’m specifically helping to develop the REACH curriculum. What is REACH? It is an acronym for a restorative week-long course held quarterly every year of medical school, where we will teach our medical students how to Reflect (on their personal and academic experiences), receive Education on principles of positive psychology, provide time to review formal and informal Assessments, and receive state-of-the-art Coaching that focuses on their Health and well-being. It is going amazingly! I can’t believe we’re putting so much thought, not just into preventing burn out and depression, but on reinforcing the strengths of our students during medical school. We are hoping that our students learn to “practice what they preach” by deliberately setting scholastic time aside that focuses on their mental, physical, and spiritual health. What a powerful, positive, hidden curricular message we hope this provides. It was because Kaiser Permanente announced it was opening a medical school that I became inspired and excited to teach one day. And this is just what’s happening in my little nook. The rest of the curriculum development is truly ground-breaking. We are incorporating principles of reflection in all aspects of the curriculum, and weaving themes of wellness everywhere. Physician wellness is becoming such a hot topic because we are finally realizing today in health care that physician wellness leads to better patient care and better patient outcomes. Juan-Carlos Zuberbuhler, MD, is a board-certified psychiatrist at Kaiser Permanente West Los Angeles Medical Center and psychiatry champion for Depression Care Management. Connect with him on Twitter at @jzuberbuhler74. Michelle Quiogue, MD, a family physician with the Southern California Permanente Medical Group, writes about integrating diversity and inclusion principles into the Kaiser Permanente School of Medicine. 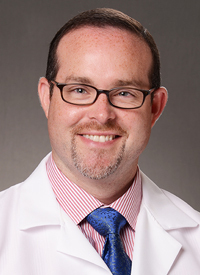 Dan Weberg, PhD, RN, sees the development of the curriculum at the School of Medicine through the nursing and inter-professional lens. 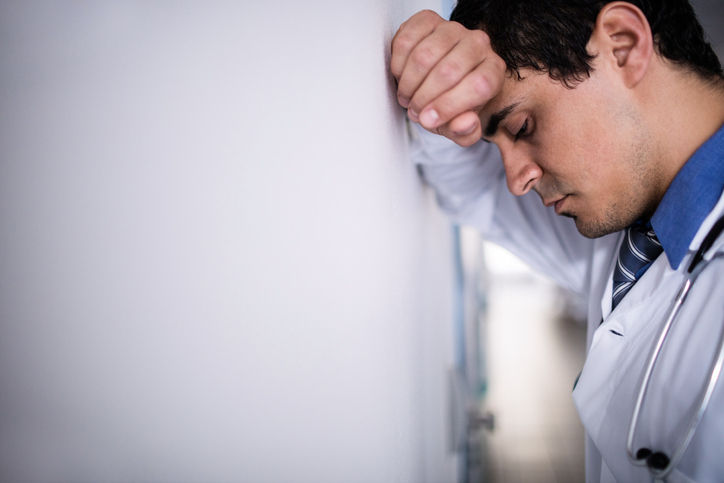 Depression, burnout, and even suicide is surprisingly common among medical students and physicians. The Kaiser Permanente School of Medicine is working to reverse that trend by building a culture of well-being from the ground up.